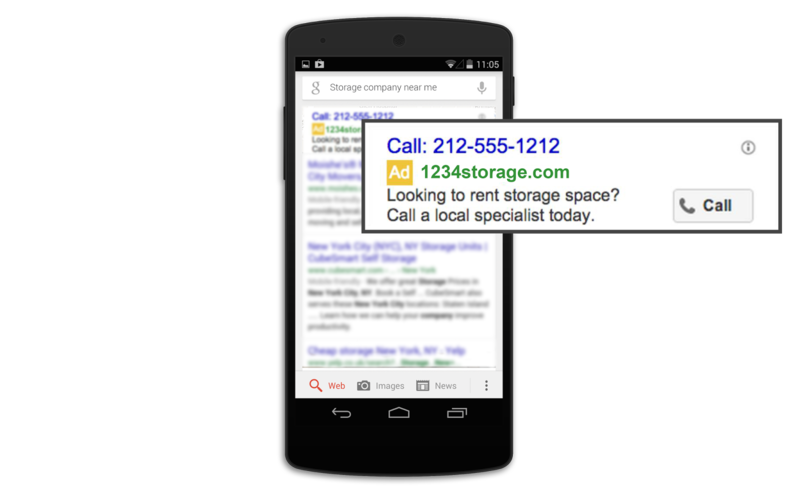 Adwords is improving for the better. Considering the number of people using smartphones, there was a need of inclusion of direct CTA elements in the search results itself. Around 70% of mobile searchers call a business directly from search results so how about creating call-only campaigns, a new and easy way for businesses to reach potential customers by prominently showing your phone number, business description and call button -- right when people are searching. Enable people to reach your business directly via calls without needing to visit your site. Tailor your ads for phone calls with effective CTA text like “speak to a specialist today" or “call to make an appointment" to let people know they can easily reach your business. Call only campaigns are for those businesses whose goal is to increase phone calls. With Call-only campaigns you can get people to click-to-call you straight from your ads. You can use the CPC bidding based on the value of a call to your business. These are currently available for the Search Network only. Go to the "Campaigns" tab and select Search Network only from the +Campaign drop-down menu. Name your campaign and choose the campaign type Call-only. Choose settings like Networks, Devices and Location targeting. Better customer experience coupled with an increase in calls & sales provides a win-win for both consumers and advertisers.